In just days, thousands of Halloween and horror fans will pour into the Long Beach Convention Center to experience Midsummer Scream 2017 on July 29 and 30. 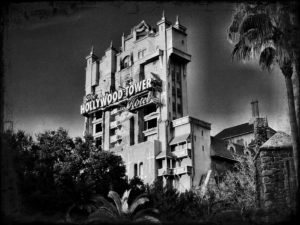 One of the most-anticipated presentations of the weekend will kick the event off at noon on Saturday – Beyond the 5th Dimension: Creating The Twilight Zone Tower of Terror. This hour-long presentation will feature several individuals key to the design of the original attraction in Orlando, as well as the subsequent versions that were installed at Disneyland Resort, Disneyland Paris, and Tokyo DisneySea. What will drive guests to this particular presentation? Their undying love of The Twilight Zone Tower of Terror, and the fact that Midsummer Scream is going to give Southern California fans a truly fantastic way to come together as a community to listen to the attractions creators, and give it a proper farewell together as a group. As the excitement builds in anticipation of next weekend’s Midsummer Scream convention in Long Beach, the Queen Mary has just announced that it will be revealing a new Dark Harbor maze and character to fans during its hour-long presentation on Saturday, July 29 in the Terrace Theater (main stage). 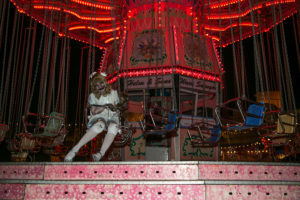 Typically, each of the major theme parks and attractions that participate in Midsummer Scream thrill guests with enticing presentations and discussions of what’s to be expected come Halloween time. The biggest moments come when the attractions unveil a new maze or major component – that is the pièce de résistance as far as fans are concerned; it’s what they line up for, and it’s what they hope to witness when they pour into the theater each summer. 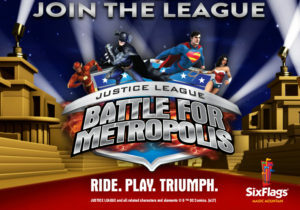 Six Flags Magic Mountain is putting the call out for all DC Comics superheroes – and villains – to celebrate the opening of its brand-new attraction, Justice League: Battle for Metropolis! This widespread call for DC Comics cosplay at Magic Mountain is your ticket – literally – to get into the park and experience the new ride on July 12! Magic Mountain isn’t wanting people to dress up just for fun – they’re going to attempt to break a world record for most cosplay participants in a theme park. The history of home haunting in Southern California is long and storied. However, one home haunt in particular – the Hallowed Haunting Grounds – changed the playing field dramatically in 1973, when a group of creative kids led by Gary Corb took to the front yard at 4343 Babcock Avenue in Studio City. Over the course of 32 years, the Hallowed Haunting Grounds grew into the most elaborate and detailed Halloween yard display anyone had ever seen. 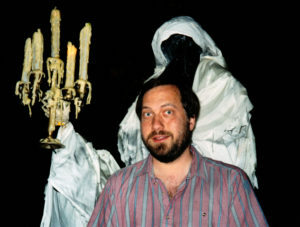 What started out as a simple homage to Disneyland’s Haunted Mansion, became a must-see roadside attraction each October; a virtual who’s who from the entertainment industry showing up nightly to gawk and whisper with the masses as they journeyed “beyond the graveyard of desolate souls”. The Hallowed Haunting Grounds was more than a spectacle; it became a cornerstone of Halloween in Los Angeles, attracting thousands from near and far to experience its subtle complexity – mournful spirits, crumbling church ruins, undulating graves, floating lanterns, and displaced ghosts.